Welcome to the AGH Engineering Limited’s privacy notice. We respect your privacy and are committed to protecting your personal data. This privacy notice will inform you as to how we look after your personal data when you visit our website (regardless of where you visit it from), are a client or prospective client or visit our premises or worksites and tell you about your privacy rights and how the law protects you. If you would prefer a copy of this privacy notice in a different format please contact us. This privacy notice aims to give you information on how we collect and processes your personal data through your use of this website, including any data you may provide through this website or when you purchase a service, enquire about a service and visit our premises and work sites. AGH Engineering is made up of different legal entities. This privacy notice is issued on behalf of the Group so when we mention AGH Engineering", "we", "us" or "our" in this privacy notice, we are referring to the relevant company in the Group responsible for processing your data. 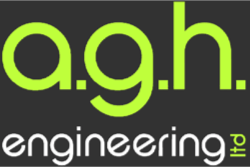 AGH Engineering Limited is the controller and responsible for this website. This is the first version of our Privacy Notice and is dated 7th June 2018. There are no historic versions. • Financial Data includes bank account. • Profile Data includes purchases or orders made by you, preferences and feedback. • Usage Data includes information about how you use services. • Communications Data includes your communication preferences. • Marketing Data includes your preferences in receiving marketing from us and our third parties. • Identity and Contact Data from data brokers or aggregators as part of background checking based inside the EU. • Identity and Contact Data from other Third Parties such as other clients and business contact that have passed these details in accordance with their lawful basis for processing your data. To find out more about the types of lawful basis that we will rely on to process your personal data see below. We do not engage in direct marketing activities. We will not share your personal data with any company outside of AGH Engineering group of companies for marketing purposes. If we transfer data outside of the EEA at your request you will need to ensure that any country outside of the EEA has sufficient safeguards to protect your data. Should any third party request the transfer of your data outside of the EEA will advise you of this at the time so that you can decide whether or not the information may be passed to them. Before making that decision you should make yourself aware of what safeguards are in place to protect your data. Other companies in the Group acting as joint controllers or processors and who are based in the United Kingdom for leadership and commercial reporting. • Service providers acting as processors based in the United Kingdom who provide IT and system administration services. • Professional advisers acting as processors or joint controllers including lawyers, bankers, auditors, Insurance brokers and insurers based in the United Kingdom who provide consultancy, banking, legal, HR, insurance and accounting services. • HM Revenue & Customs, regulators, courts or tribunals and other authorities acting as processors or joint controllers based in the United Kingdom who require reporting of processing activities in certain circumstances. • External auditors or accreditation bodies (and those acting on their behalf) to ensure that we meet our contractual requirements and industry recognised accreditation.